I liked the sense of tradition, and connection to the past. I liked the fact that the head of state was not another shifty, partisan politician in a business suit. I thought the stability of the British system spoke for itself: No violent transfers of power since 1688, whereas the French have had at least half a dozen since 1789. As a Canadian, I like our own connection to the monarchy, as a point of difference with the Americans, and a symbol of historic ties to the UK. Last but not least are the personal qualities of the Queen. Her main virtue has been silence. Over the years, she has been careful to avoid offering an opinion on anything controversial. She shakes hands, cuts ribbons, and lays wreaths; she broadcasts an annual Christmas message in praise of service to others, or something similarly anodyne. Her sheer longevity is impressive; after more than 63 years in the job, she has become a symbol of stability and continuity in her own right. These reasons no longer have as much weight for me as they once did; but I must admit, they have some substance. There is a respectable argument for leaving the British monarchy in place, maybe with some additional reforms and adjustments. On balance though, I've shifted to become mildly republican. I don't think it should be a high priority, but if I was offered a vote on the monarchy, I'd choose to get rid of it. The main reason, like everything else to do with the British monarchy, is symbolic. The monarch, by definition, is at the pinnacle of British society. He or she represents what the UK finds good and important. Qualification to become monarch is based solely on blood and religion. It makes a statement that ancestry counts for more than ability or hard work. It is not a statement with which I agree. I also think the present system is unfair to the royals themselves. From the moment of their birth, they live under intense media scrutiny. Three-year-old Prince George is still learning to tie his own shoes, but he is already destined for a career attending dull ceremonial events. If he's lucky, maybe he can be a junior officer in the armed forces for a while, before he settles down to being King. Of course the royals live in fantastic luxury, but with so little choice of occupation, it's little more than a gilded cage. The very unfairness of the monarchy can be a strength. It doesn't pretend to be egalitarian. That's not what it's for. In its own way, it is more honest than the pretence that David Cameron -- a man born into extraordinary wealth and privilege -- became Prime Minister because he was the best person for the job. All the same, I'd prefer the role of the monarch to be taken over by a ceremonial President on the Irish model. Yes, we might end up with some odious individual as President, but there are no guarantees about the character of the monarch either. At least a President was chosen by the electorate, and can be voted out the same way. 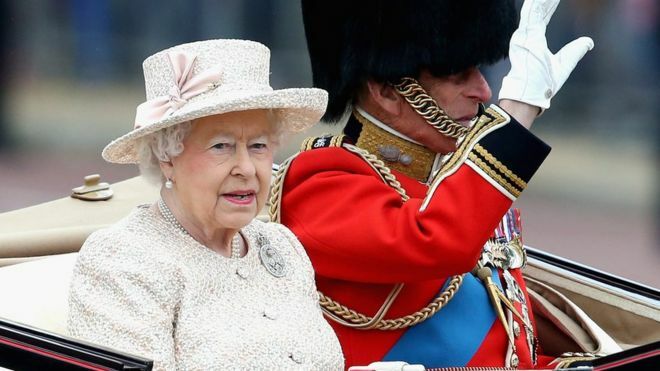 The personal status of the Queen is such that while she is alive, the monarchy will remain secure. She seems a decent enough person, and has served to the best of her ability for more than sixty years. For what it's worth, I wish her a happy ninetieth birthday and many more years of good health. In the longer term, it will be interesting to see how the British monarchy develops, and whether it will prosper under King Charles or King William.